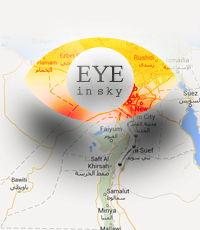 Eye in Sky is an automated tracking Software that allows companies and individuals to track Vehicles or people. Tracking services and information technology are now available either on your PC or Mobile. This service is one of the technological breakthroughs that bring greater efficiency to the system of management in Egypt, and contribute significantly to reducing car thefts..
Information systems are considered as an integrated and interrelated parts that interact together to achieve a particular goal. 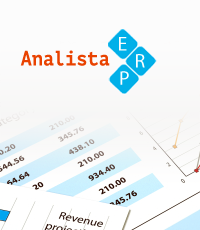 Analista ERP system provides e-smart software for large and medium-size companies. Management information systems has become one of the most successful methods used by industrial or commercial enterprises to confront the challenges of times, and demonstrate the true measure of progress or failure..
Fast Smart E-Campus is an integrated management system for k12 Schools. With F.S.E Campus, we reduced the size of the input data to the system and provide all required reports to facilitate management through the interdependence and complementarity of the different departments. While maintaining the ease of use and high flexibility to customize the system to suit the regulations and rules governing work within the school, the system aims to provide and combine all the services you need for k12 Level. 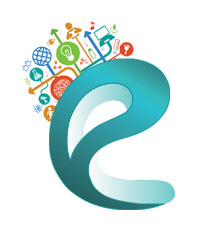 The system allows integrating Blended and distance E-learning into the program through SSO (Single Sign On). Miskasoft is a steady pace growing company. We have scaled up lately to be an Egyptian joint stock Company (LLC) specialized in software Development and Web Design. The diversity in our clients helped to increase the quality balance of experience and skills of our company team. Miskasoft Solution Development teams design, build, and deploy IT applications that address the unique business and customer challenges of our clients. We combine mature processes, robust delivery models and world-class expertise to help organizations leverage technology, and drive business transformation. Our engineers enable organizations to bring about cost and operational efficiencies with streamlined and modernized application portfolios. Read More. Network Service includes service areas of Route/Switch, Architecture, Security, and Wireless. Network Optimization Services provide annual, ongoing support for Customer. Read More. Your website is the mirror which help keep your business up to date. We clearly understand that there is a difference between a basic Web site and a truly dynamic Web presence with integrated electronic commerce capabilities which help take the business to the next level. Read More. Mobile Apps are a great giveaway to help inspire your clients to share your brand, experience their session, and are a new way to drive referral business to your company. Read More. Combining ideas from commercial marketing and the social sciences, social marketing is a proven tool for influencing behaviour in a sustainable and cost-effective way. Read More. An increasing number of companies and IT departments are finding it challenging to respond to the constantly changing technology needs and initiatives using only internal staff. To acquire strategic skills in a timely and cost-effective manner, many CIOs, MIS directors, and technical managers are seeking the services of outsourced resources. Read More. 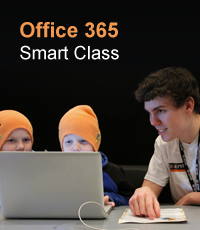 Office 365 Smart Class is an App that works on Windows 8.1. It allows both Educators and learners to interact smoothly and exchange ideas and files using all Office 365 Services. 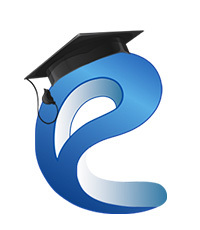 Students can get notification about their assignments, exam dates, and any other official events. The Smart Design of the interface facilitate using it. Learners can meet online, chat, ask their Educators or submit work. Information systems are considered as an integrated and interrelated parts that interact together to achieve a particular goal. Analista ERP system provides e-smart software for large and medium-size companies. Management information systems has become one of the most successful methods used by industrial or commercial enterprises to confront the challenges of times, and demonstrate the true measure of progress or failure. Eye in Sky is an automated tracking Software that allows companies and individuals to track Vehicles or people. Tracking services and information technology are now available either on your PC or Mobile. This service is one of the technological breakthroughs that bring greater efficiency to the system of management in Egypt, and contribute significantly to reducing car thefts.